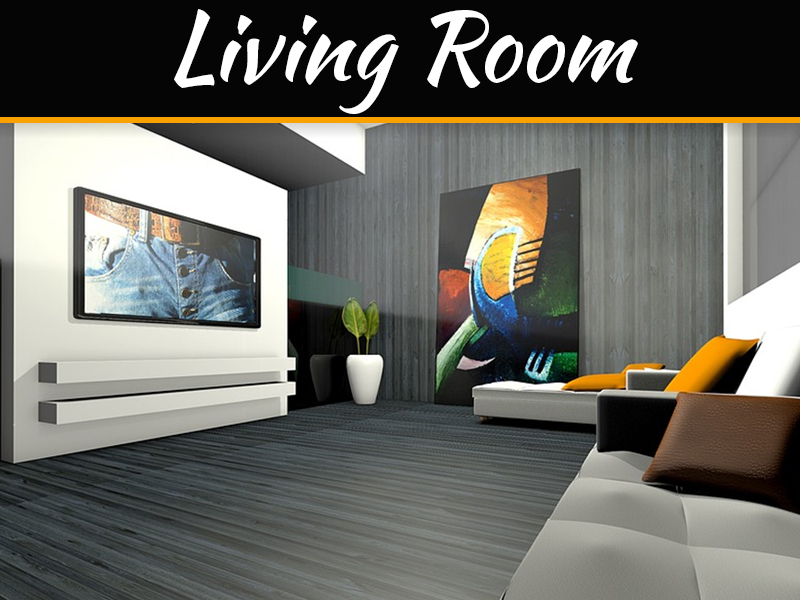 When it comes to home décor, it is important to pay attention to every area of the home. This includes everything from the main rooms through to areas such as the hallway. The décor in your hallways is very important for a number of reasons. First off, this is the area of the home that forms first impressions for many visitors, as it is the first main area of your home they tend to walk through. 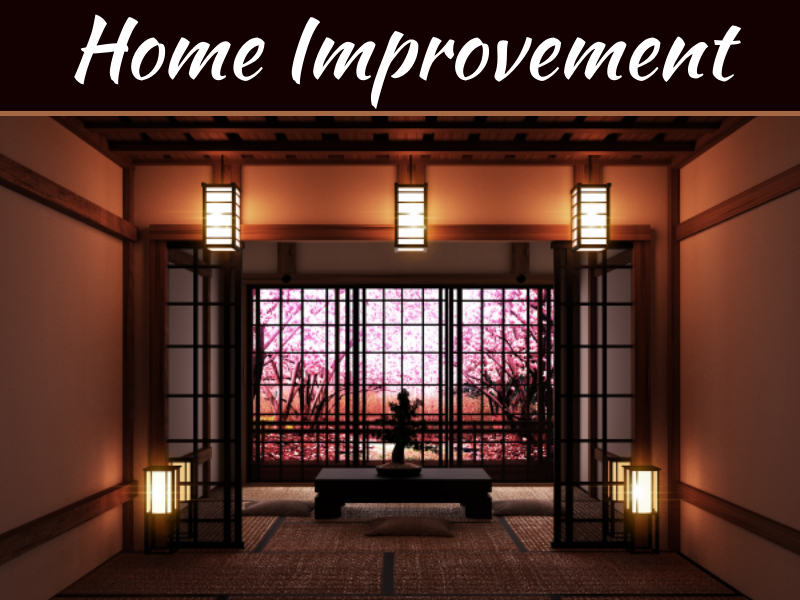 Secondly, the appearance and décor in your hallway can make a big difference to the ambiance of your home when you enter. When you are planning the décor for your hallway you need to thing about everything from the main décor and colours through to the finer details to ensure you get the perfect results. 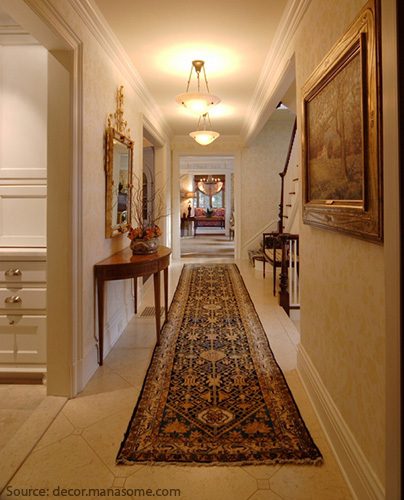 You can then look forward to a hallway that will be welcoming and attractive for you and will impress your visitors. It is important to think about the best flooring for your hallway, as this can have a profound impact on the overall appearance. If you have a large hallway you can get away with using carpet if you wish to do so. However, you also need to remember the footfall in an area such as your hall so you may prefer to go for something that is easy to care for. Laminate flooring is a great choice, as it not only looks modern and makes the hallway look more spacious but it is also easy to clean and maintain – perfect for areas where people are coming in from the street with dirty footwear. Flooring Warehouse Direct is a great place to go if you want to enjoy a wide choice of flooring for your hallway. When it comes to the walls in your hallway you can opt for a traditional look with wallpaper or go for something more contemporary with painted walls. If you do go for wallpaper, try to opt for plain paper or simple patterns so that the walls do not look too busy. With a painted wall you can add focal points with the use of artwork or a wall mirror. Go for lighter colours with both paint and wallpaper so that the hallway does not look too dinghy or closed in – the lighter the colours the more airy and spacious the hallway are will look. You can choose from a wide variety of wall coverings and paints from specialist retailers such as Homebase, making it easy to create the perfect appearance in your hallway. 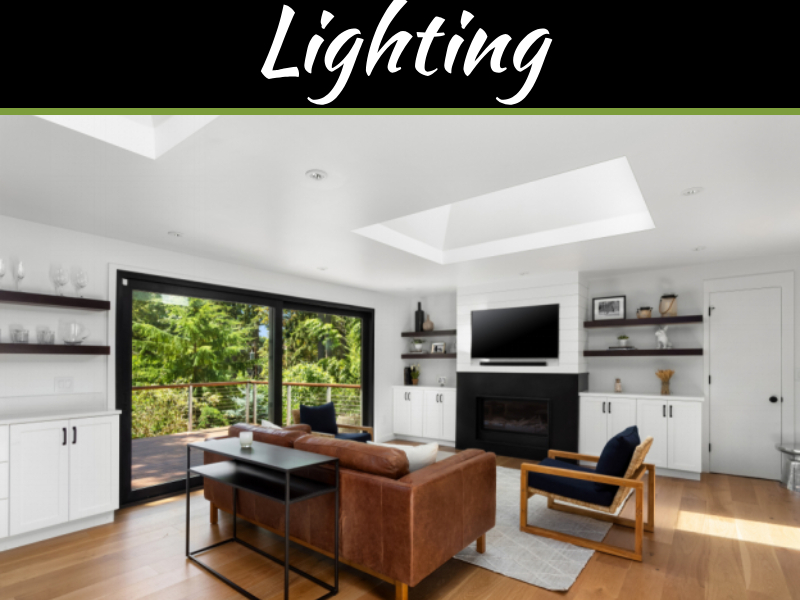 Lighting is very important in your hallway as you need to ensure that it is well lit yet also looks stylish. Depending on the size and length of the hallway, you can opt for some classic wall lights in addition to the main light. 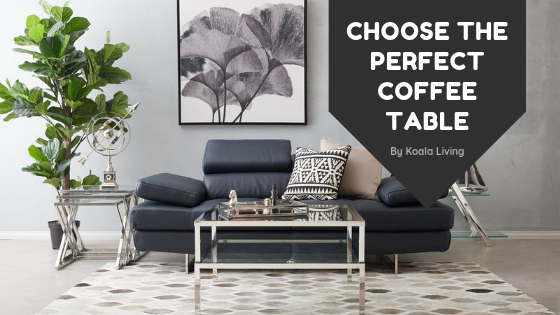 Some people also add an occasional table with a lamp in order to create a cosier atmosphere in the hallway in the evenings without having to have the main or wall light switched on. Retail giants such as Argos offer a great choice of lighting at very reasonable prices so you can find the perfect ones for your hallway. 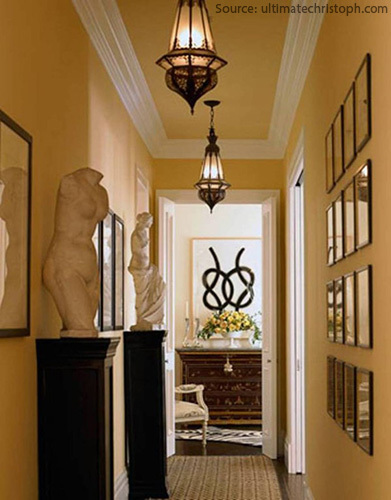 There are various extra touches that you can add to your hallway in order to make it look more welcoming and stylish. Artwork, as mentioned previously, is a great way to add colour and a focal point to the walls particularly if you opt for painted walls. Another lovely touch is to have fresh flowers in a vase in the hallway. This not only adds beautiful fragrance to the hallway but also colour and aesthetic beauty. You can checkout eFlorist to get some great deals on fresh flowers. This will add beauty and warmth in an economical way and give a whole new feel to your hallway. Many people are guilty of cluttering up their hallways with things such as coats hung off banisters and keys hung off hooks on the walls. This can spoil the overlook appearance of your hallways so try to consider other solutions. For instance, if you have a cupboard in the hallway invest in some hooks so that coats and keys can be hung in there out of sight. 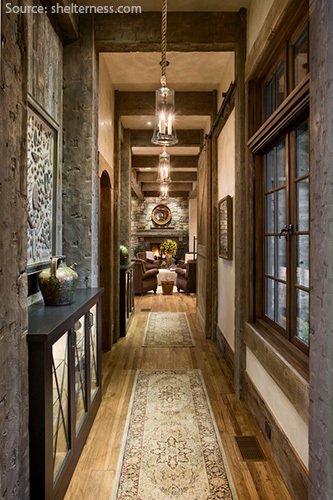 With a little thought and planning, you can create an amazing hallway in your home that will impress all who visit. Making a hallway look beautiful without being either too minimalist or over cluttered is very difficult. It must be one of the hardest rooms in the house to design.